I’m getting very full. We’re now on #25, and my ridiculous challenge is starting to take its toll. I’m starting to get a little fatter and a little less motivated. It’s getting harder to find restaurants, get people to go, and to make the trip. Alas, at least I made it to this point. 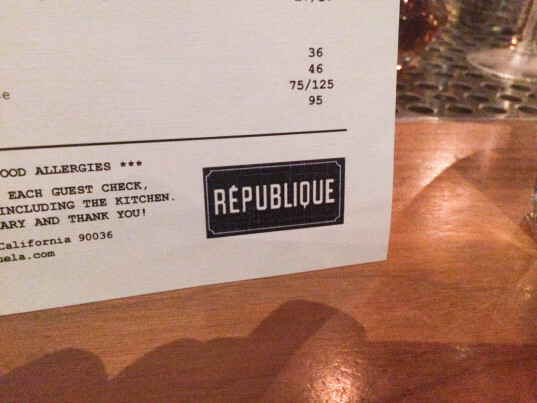 Republique LA opened up nearly a year ago and is located near Miracle Mile. The decor is very interesting as it reminds me of sitting in the dining halls before getting murdered (Red Massacre – Game of Thrones). 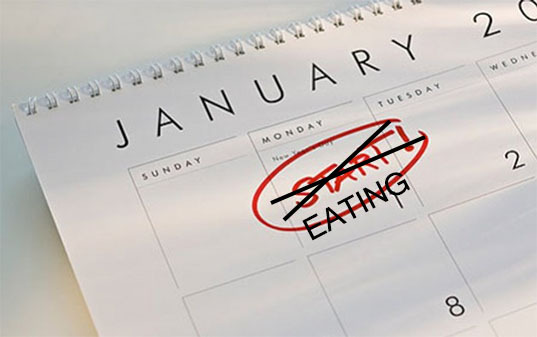 Because of my appetite nearly halfway through the year being very full, I had very low expectations. This is #25 of 52 of my 2014 LA food expedition. 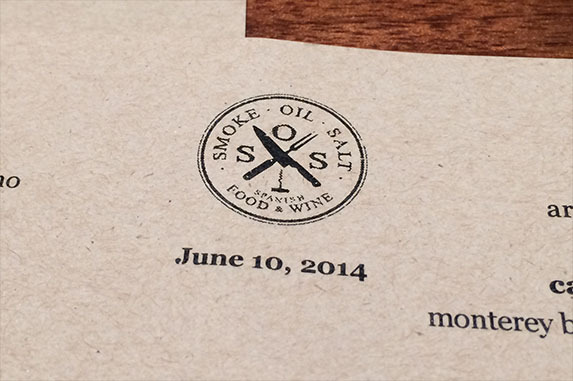 Smoke.Oil.Salt is another one of those many tapas shareable places that has been popping up all over Los Angeles. Unlike the other restaurants I’ve been to in the past few months, this is Spanish style featuring some traditional spanish dishes. It was surprisingly good. This is #23 of 52 of my 2014 LA food expedition. Pine & Crane hasn’t been around for very long and is located in the Silverlake area on Sunset where a plethora of restaurants sits. It’s generally difficult to find decent Chinese restaurants, let alone Taiwanese, outside of the San Gabriel Valley. So I thought I would trek here to see what the hype is about. This is #21 of 52 of my 2014 LA food expedition. I’m almost half way there. This was going to be one of those weeks where it’s time to go street food. 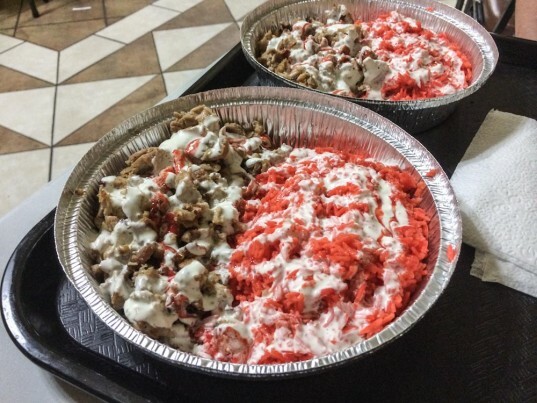 If you have ever been to New York, they have halal carts that people love to eat at after a night at the bars. This is LA’s tribute to that. This is #19 of 52 of my LA food expedition. There won’t be a read more button here since this is pretty self explanatory. Compared to my NYC tasting, this was pretty subpar. It literally was just chicken and rice. The red-colored rice was a little wet for me (not because of the sauce). The garlic and red (hot) sauce were similar to NYC cats. The chicken was pretty moist and tender which was it’s one saving grace. There was no lettuce or anything else. I am assuming because this is a relatively new place, it didn’t have the entire operation going. The food was pre cooked just sitting in a food court style serving pan. We went to the standalone location off Figueroa near Dodger Stadium. It makes me wonder if it’s even worth setting up a brick & mortar location. Perhaps this type of food should be best served standing up on the streets out of the cart. 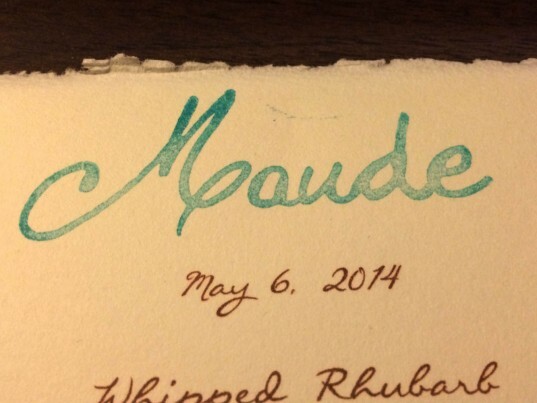 What was so interesting about Maude was how each month has a different ingredient theme. I like this approach. 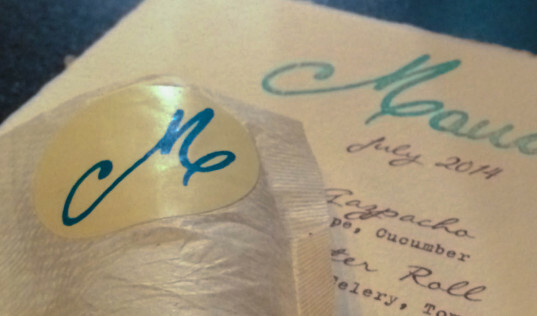 Not only can you choose what you want to eat, but it also is cool to not have to think about what to order since the entire menu is a tasting menu. 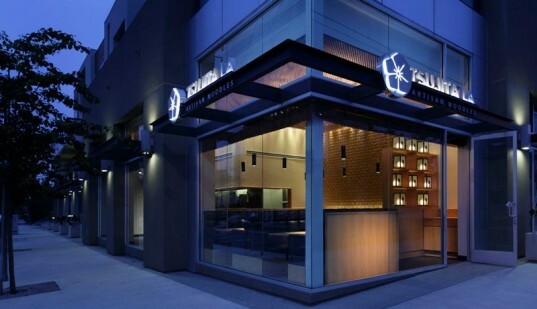 This so far is probably my favorite upscale LA restaurant (possibly attributed to the star of this month … rhubarb). This is #18 of 52 on my 2014 LA food expedition.